Elliotte Quinn focuses his practice on representing homeowners and strives to use the law to get homeowners the compensation and repairs they deserve. The purchase of a home, townhome, or condo is the largest investment most of us will ever make, and home buyers cannot see into the walls to see how a home was built and usually have limited knowledge of construction. Some builders take advantage of this, build homes riddled with defects, and sell them to unsuspecting buyers. That is why the law provides homeowners strong protections for defective construction. Elliotte Quinn focuses his practice on representing homeowners and homeowners associations and strives to use the law to get them the compensation and repairs they deserve. Elliotte has handlded cases involving construction defects in eveyrthing from large, multi-family condo and townhome developments to single-family homes. Elliotte has experience handling numerous types of construction problems including water leaks, wood rot, soil settlement, and mold. In addition to cases involving damages from improper construction, Elliotte also handles cases related to: defective building materials and products, the purchase of a home and the seller’s failure to disclose problems with the home, harmful conditions in an apartment or rented home, and homeowners insurance or property insurance coverage issues. Elliotte is from Charleston and graduated with honors from the College of Charleston. He received his law degree with high honors from Emory University School of Law in Atlanta. While at Emory, he was on the Emory Law Journal and served as its Executive Articles Editor. He received several honors and awards while at Emory including the Pro Bono Medal for his work providing legal services to those in need, the Order of the Coif, the Paul Bryan Prize, and the International Association of Defense Counsel’s legal writing prize. 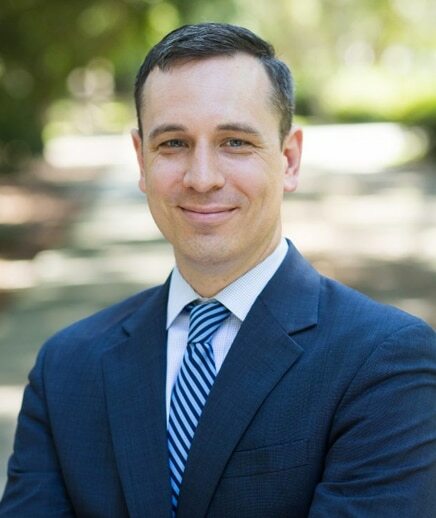 Following law school, Elliotte served as a law clerk for a federal district court judge in the Northern District of Alabama, helping the judge with legal research and drafting decisions. Elliotte then served as a law clerk for Justice Kaye Hearn on the South Carolina Supreme Court drafting memos and opinions for cases before South Carolina’s highest court. 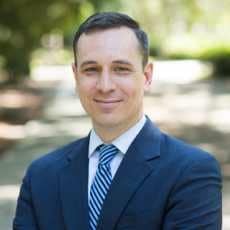 Prior to joining the Steinberg Law Firm in 2018, Elliotte was a litigator in the Charleston office of a highly regarded regional law firm where he primarily worked defending several of the largest national homebuilders in construction defect cases. He also handled a wide variety of other legal matters ranging from drafting construction contracts to litigating business disputes and personal injury claims. Elliotte concentrated on construction defect disputes often involving many parties and complex issues. He gained invaluable knowledge and experience of how construction defect claims are tried and how builders defend against them. But at heart he wasn’t satisfied representing builders, and he joined the Steinberg Law Firm to use his knowledge to help homeowners confronted with construction problems. Elliotte is a member of the South Carolina Bar’s Construction Law Section and the American Bar Association’s Forum on Construction Law. He has authored numerous articles in the construction law field including co-authoring a chapter in The 2017 A201 Deskbook covering revisions to the industry’s most common form construction contracts. Elliotte and his wife Lyndsey live in West Ashley with their two daughters. They are members of Circular Congregational Church. Elliotte serves on the board of directors for My Sister’s House, Dorchester Paws, and Palmetto Project, and he provides legal assistance to victims at a community domestic violence shelter. Are Certificates Listing a Construction Company as an Additional Insured Worth the Paper They’re Written On?, Construction Executive (June 2017), http://enewsletters.constructionexec.com/riskmanagement/2017/06/are-certificates-listing-a-construction-company-as-an-additional-insured-worth-the-paper-theyre-written-on/. Contractual Provisions Waiving Punitive Damages Awards Are Enforceable in South Carolina, Focus . . . on the South Carolina Chapter (S.C. Association of Corporate Counsel 2017), http://newsmanager.commpartners.com/accscar/issues/2017-06-15.html#3. Elliotte has authored numerous articles in the construction law field including co-authoring a chapter in The 2017 A201 Deskbook covering revisions to the industry’s most common form construction contracts.